A Day Late and A Dollar Short: GAP Oulet - 30% Coupon - ONE DAY ONLY 8/20! 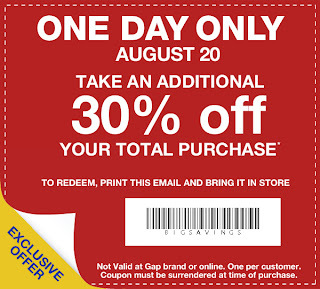 GAP Oulet - 30% Coupon - ONE DAY ONLY 8/20! 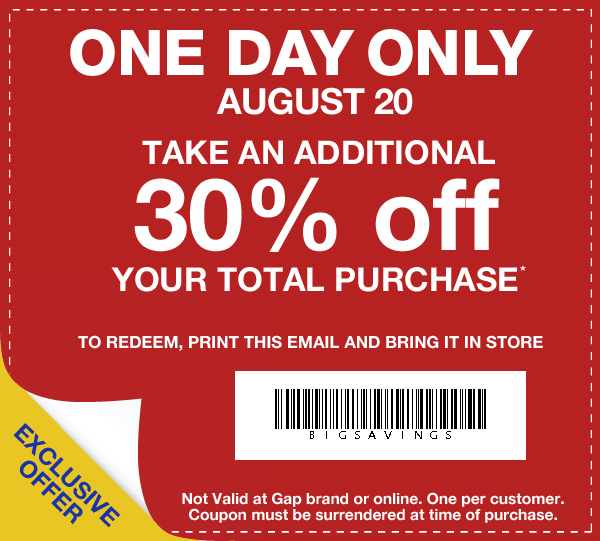 Visit the Gap Outlet website to print out this coupon good for an additional 30% of your total purchase. The coupon is only good for one day though - Saturday, August 20th! I love when the GAP Outlet puts this coupon out! 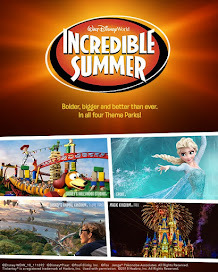 Great way to get some sweats at a great price!